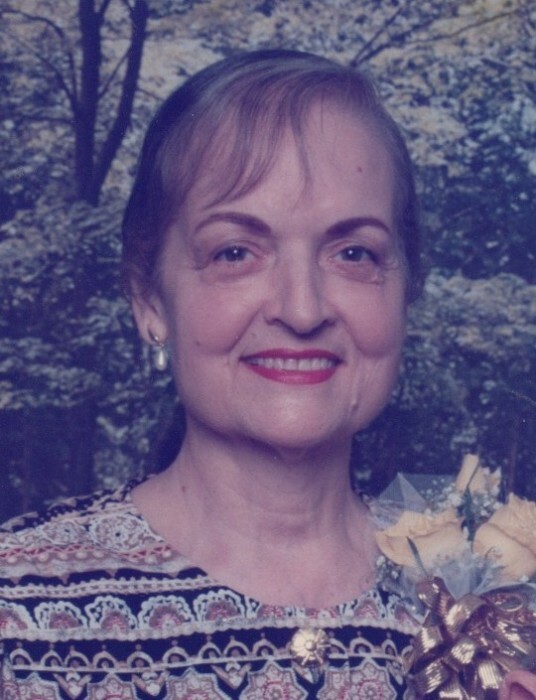 Mrs. Julene Eveline”Johnnie” Green of LaGrange passed away early Sunday, January 13, 2019. Mrs. Green was born February 11, 1928 at Tybee Island GA. She was the daughter of the late Charlie Jacob Johnson, Sr. and Roxie Creel Johnson. She had lived in LaGrange since 1947. She was a member of South Highland Presbyterian Church. She was a long time volunteer at West Georgia Medical Center. She was a member of the Troup County Senior Center, and a former member of the Red Hat Society. Mrs. Green is survived by four Sons and Daughter-in-laws, Herbert M. “Mickey” Green (Nancy) of Pine Mountain, GA. David (Janice) Green of Walland TN. “Randy” (Andrea) Green of Madbury, NH. Mark (Donna) Green of LaGrange GA.
She had 20 Great Grandchildren, and 1 Great Great Grandson. Also her sister Oneida Jackson of Meridian MS. She had several nieces and nephews. Visitation will be Monday, January 14, 2019 from 7pm-9pm. The funeral will be January 15, 2019 at 2pm, both at Hunter-Allen-Myhand Funeral Home. The family will be at the home of Mark and Donna Green, 68 Scott Road LaGrange.